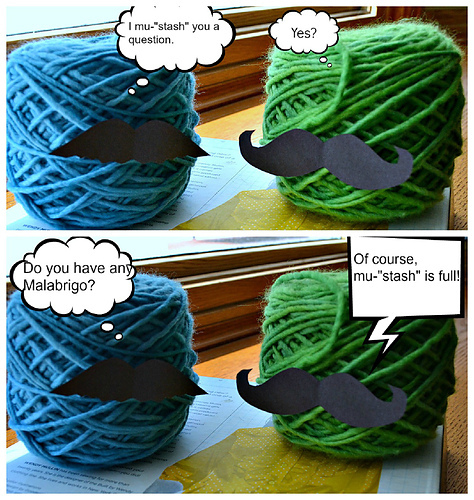 I made this silly little cartoon for Malabrigo March and their Most Creative Photo contest.Check out all the other fun pictures here. I don’t know why these things come into my head 🙂 I am really good at lame jokes! I told you I would be back soon! 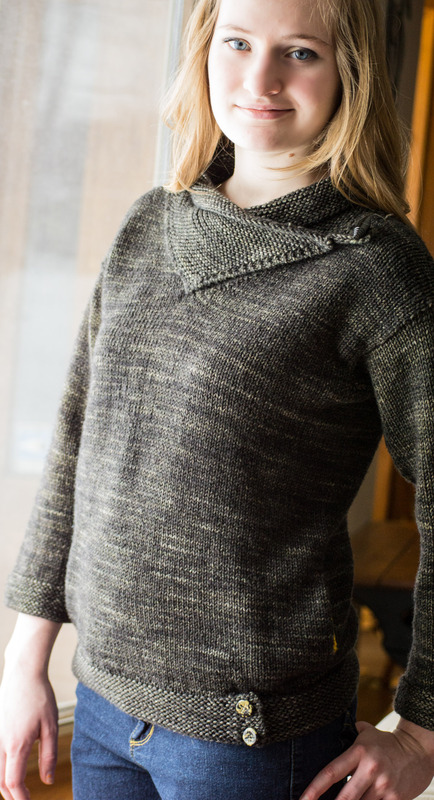 Today, I am releasing my Spare Time Pullover pattern. I am so happy to get this pattern out there! It’s been a long time coming. It’s aptly named because for me, that’s just what it was, a spare time project. Also, that is why it took so long to get out. 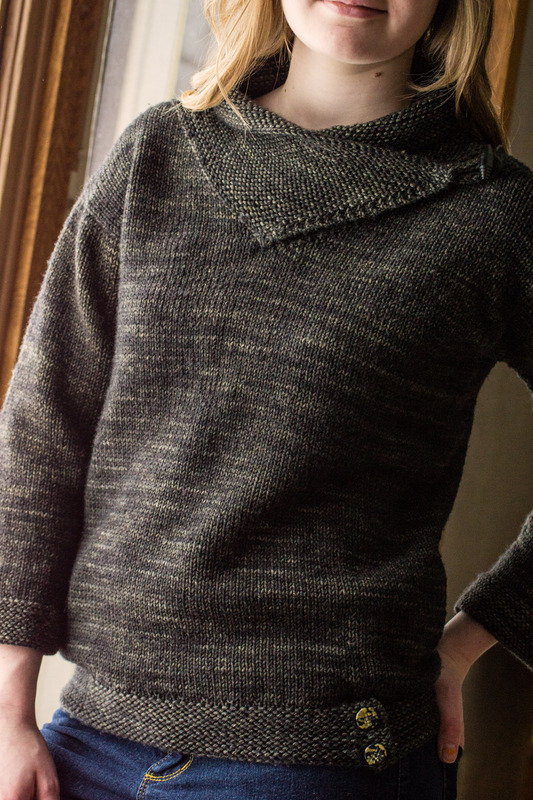 I did the original numbers for it in October and knit the sample in November! This all starts with my desire to be comfortable at all times. I wanted some ease, but too much ease. 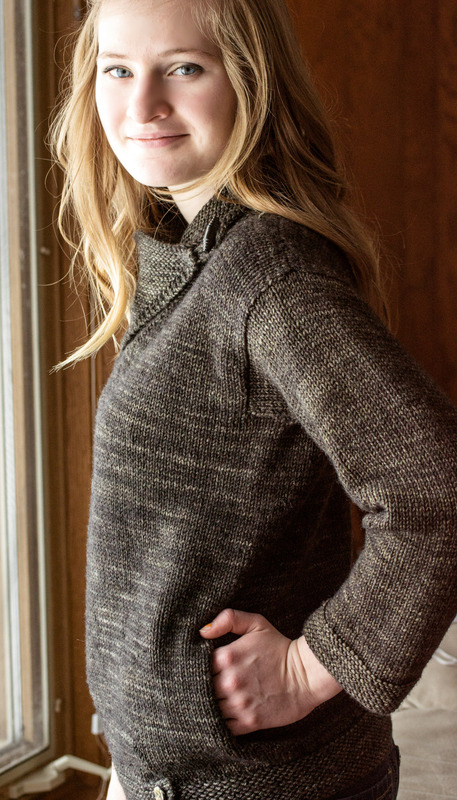 I wanted cozy, tea-sipping, comfort food eating…wait, I’m talking about a sweater right. This sweater was knit up in Madelinetosh Vintage. I really liked working with it. It knits up quickly and gorgeously. I wanted something to wear at home, but wouldn’t be awful to wear to the store or a meeting with teachers or running errands in. I also had an idea for a collar. I wanted it sort of like a shawl collar, but kind of bandanna like. The sweater is worked from the bottom up in a combination of knitting in the round and flat knitting. The shoulders are joined using three needle bind off. The sleeves are picked up and knit as is the collar. There is very little seaming (just a little on the collar). I hope you enjoyed this sneak peak at my third and final March pattern release! Thanks for stopping by! Remember, the NinjaKAL is still going on in my group until the end of the month. Hope to see you there! 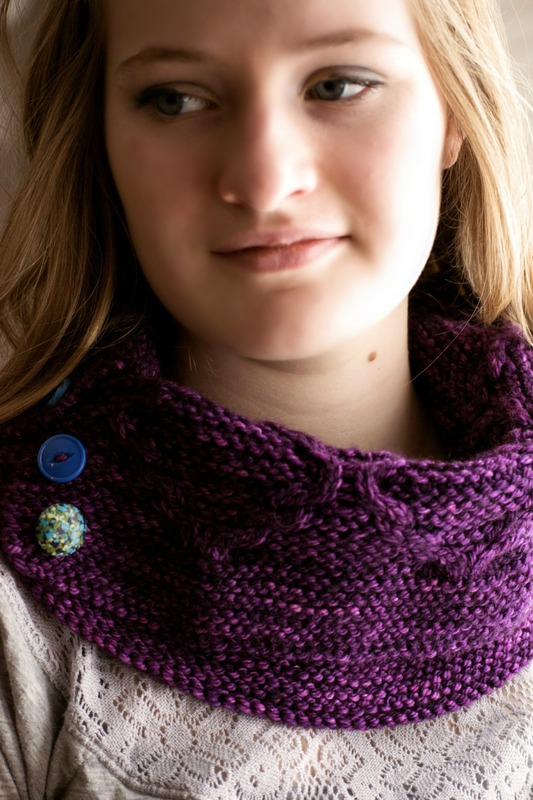 My Neckwear Obsession and a new pattern! The past few months, I have flirted…no, become obsessed with neckwear. I do go through phases sometimes and this is/was definitely one of them. It was probably spurred on by the ample opportunity to don neckwear this winter. It has been, and still is pretty cold around here. In comparison, March 10th, one year ago here was 65 degrees and I took my son to the park to play. This year…like 20 degrees. ACK! Most of my obsessiveness has come in the form of cowl design. It didn’t start out that way this time, though. 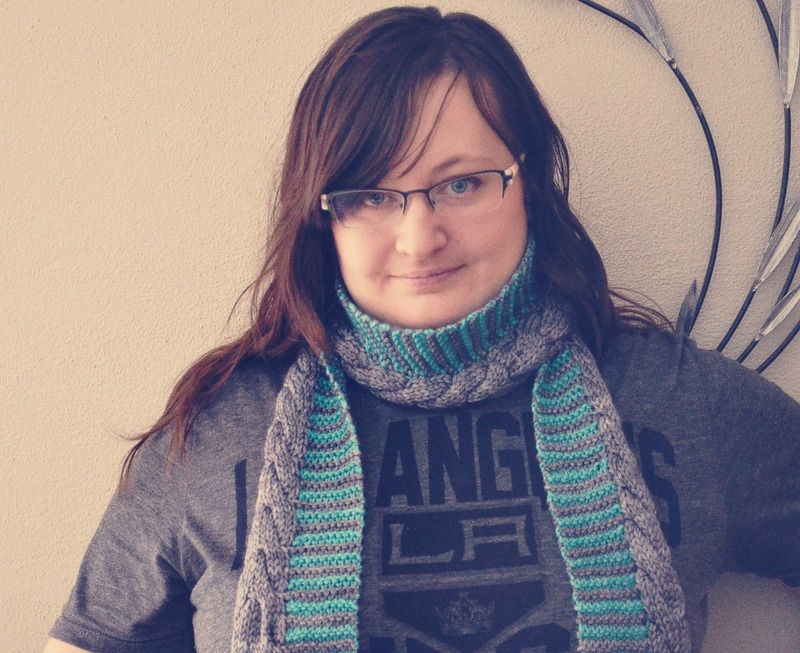 What You Wish started with my desire to knit a scarf that didn’t bore me to tears and didn’t take forever to knit. I had to keep it interesting. So, I first picked out a cable and took that element and added stripes using intarsia techniques. OH NO!!! Did I say, “intarsia”? Yeah, I did. Don’t let that scare you though, because it isn’t difficult at all and before you know it this thing will fly off the needles. I used Worsted/Aran weight yarns. The small cowl took me a day of knitting. These were knit up in Malabrigo Worsted. You provisionally cast them on and then join later by grafting. 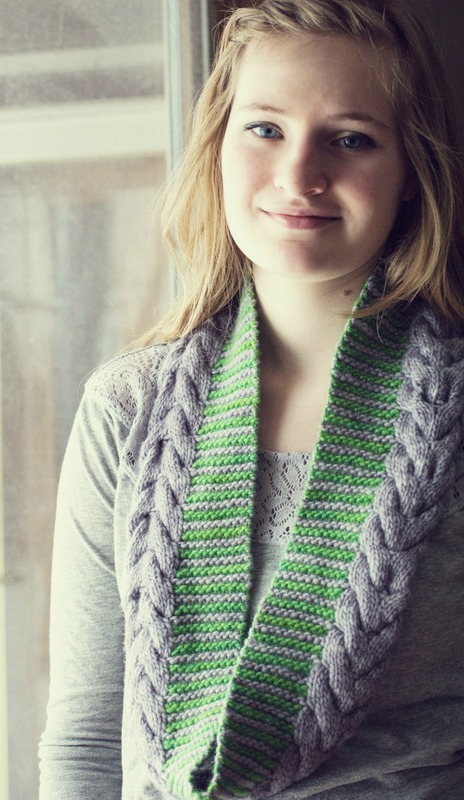 You could also just use 3 needle bind off, but grafting makes the seaming invisible! 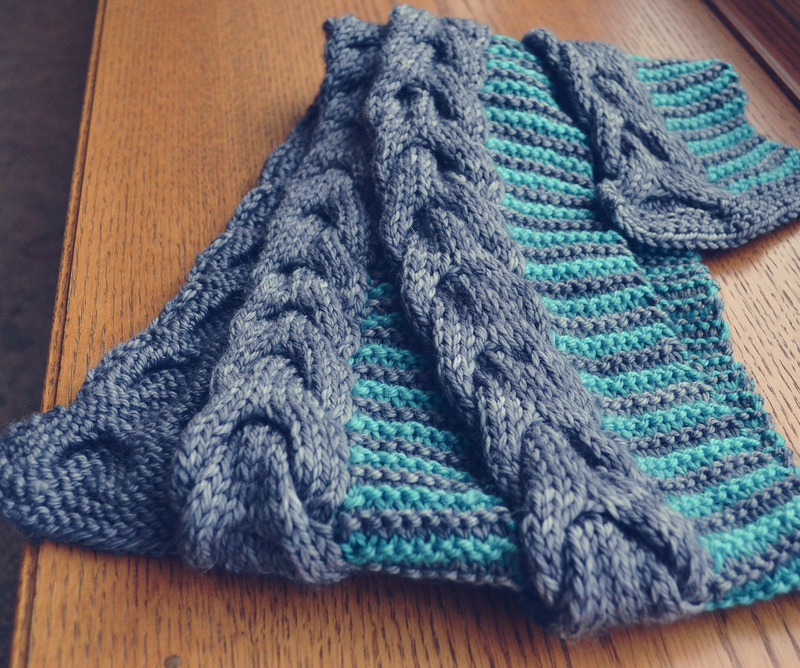 The short cowl used Frost Gray as the main color and Bobby Blue for the contrast. 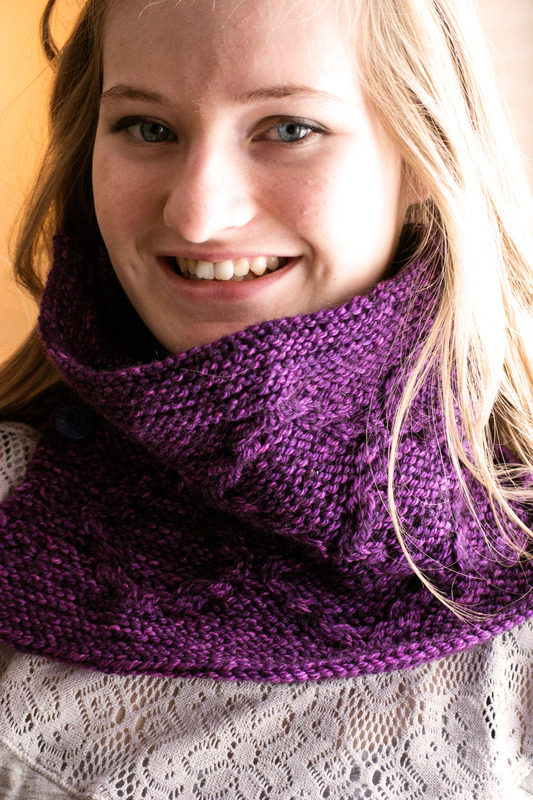 The long cowl version was also done in Malabrigo Worsted. I used Frost Gray again as the main color and Sapphire Green as a contrast. So…has my obsession abated. No, it really hasn’t. I still have new ideas, but have to move on to other things at the moment! I will be back again, likely later this week. I have one more pattern to release this March. When I was younger, my Mom had some wild wallpaper in her bedroom. Picture, if you will, an odd marriage of Damask and Toile. At least, that’s how I remember it. Now, picture the design in bright, eye searing, red. Now, add that it was also flocked. I know I spent way more than my fair share of time mesmerized by this combination of elements. Now, I know my new pattern is not red or damask or flocked, but the cable in this pattern reminds me of the wallpaper. I’m not really sure why exactly, it’s funny how memories and inspiration work sometimes. 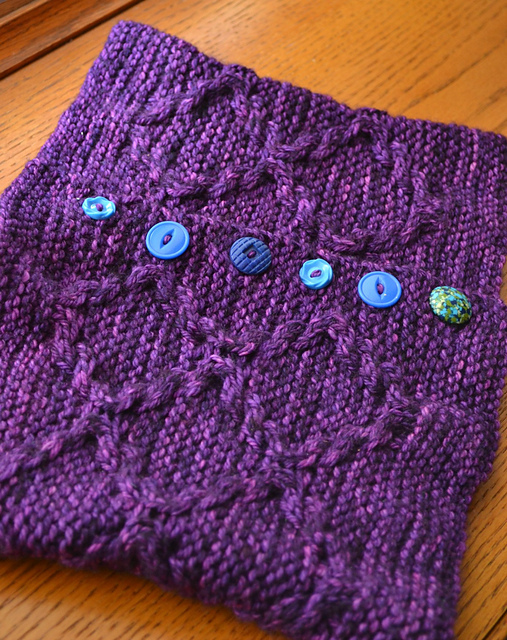 The fun thing about this cowl (well, the first fun thing) is that it has buttons. I love buttons. I like putting buttons on things. Sometimes, they may not need it, but I do it anyways! I think my favorite way to wear it is to open a few of the bottom buttons and fold the top inwards a couple of inches. Nice and cozy! See, most cowls can do these same things if the fabric isn’t too loose and the cowl is “tall” enough. I often get “creative” when I wear my cowls. 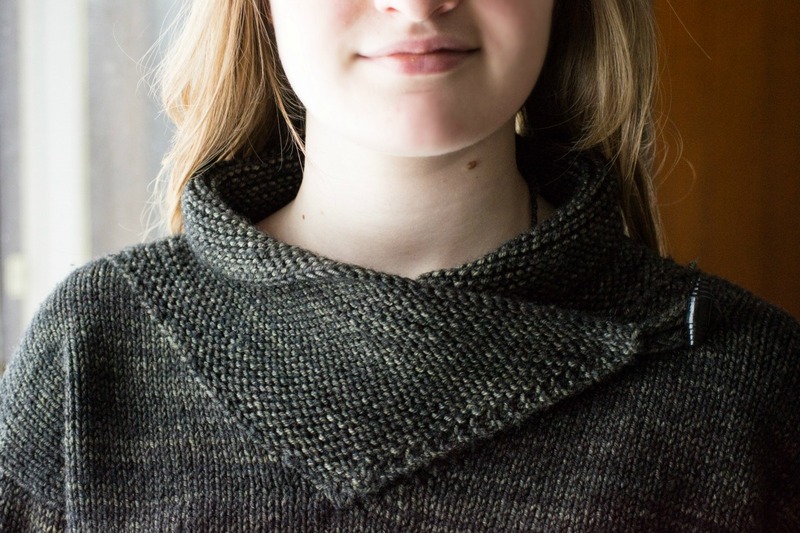 What is your favorite way to wear a cowl? The yarn? Oh yes, the cowl was knit up using The Wool Dispensary Greater Poison in colorway, Badass Unicorn (best name ever). Mother’s Wallpaper, like my other patterns, is 20% off until the 15 using the code NINJAKAL at checkout! Thanks for stopping by! I will have more for you soon!